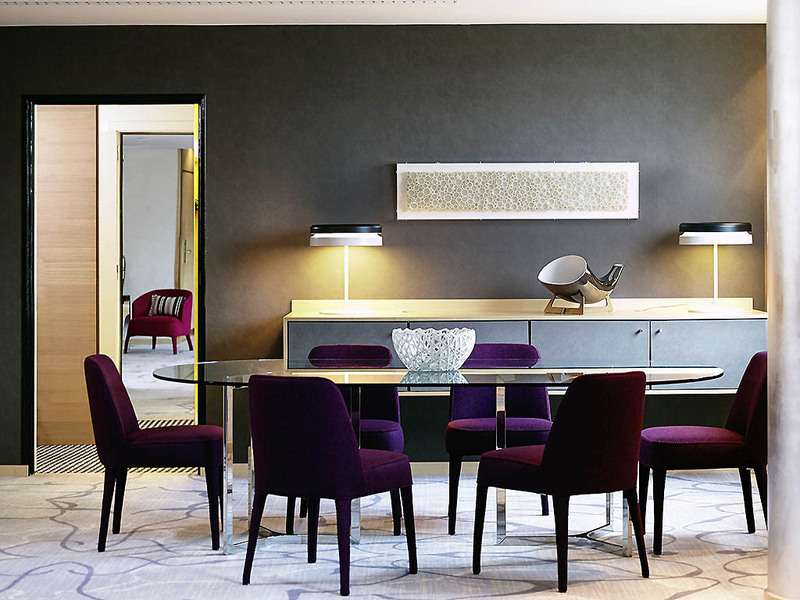 A striking design hotel in Luxembourg's historic center Sofitel Luxembourg Le Grand Ducal gazes magnificently over the picturesque Alzette and Pétrusse valleys and Luxembourgs UNESCO Old Town. A grand modern glass structure of dramatic lines and curves this 5-star hotel in Luxembourg is a landmark amid a tapestry of cultural historical and natural sites. Sleek contemporary design by Philippe Capron pays tribute to Luxembourgs blend of business and creativity. Please join us for a Magnifique voyage into a charming European city where vivid colors bring modern art and architecture to life, and where panoramic views sweep over historic buildings and green valleys. Life is Magnifique in Luxembourg..
A 5-star hotel in Luxembourg's historic city centre, just 10 minutes from the airport and close to the TGV high-speed rail transit station. We are ideally situated at the intersection of Luxembourg's leading sightseeing, business, and cultural districts.From highway: Exit No. 6 for Luxembourg Gare, follow signs for Centre and for Sofitel. From train: Right on Rue du Fort Neipperg, second right on Rue Bender. Left on Rue du Laboratoire, left on Ave Charles de Gaulle, and right at traffic light. 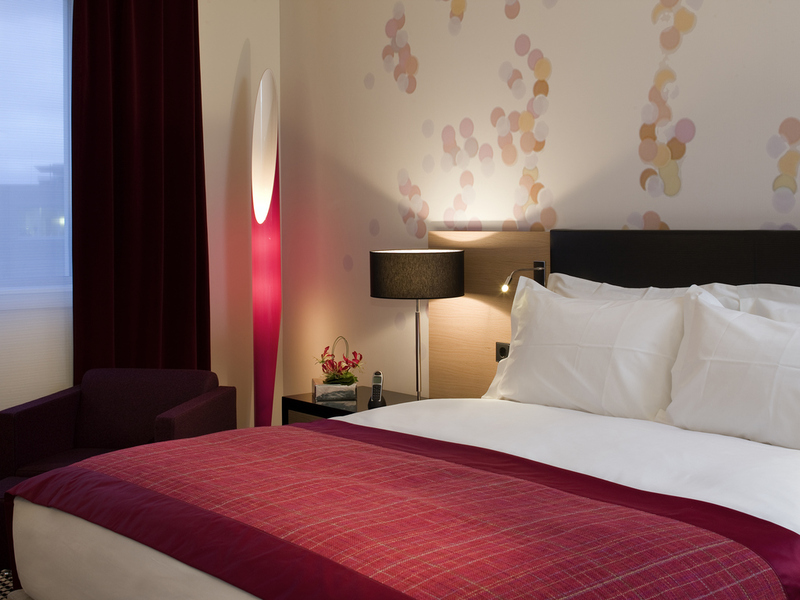 All rooms have the Sofitel 'MyBed' for unrivalled sleeping comfort and artistic decors in natural pastel shades. 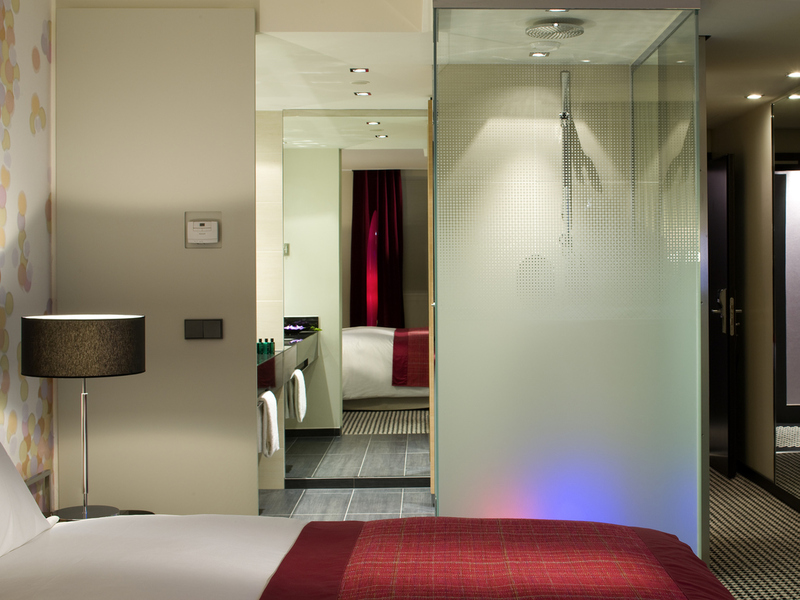 High-speed Internet, wifi access, i-Pod connections, laptop-sized safe, Plasma TV, minibar and 24-hour room service. 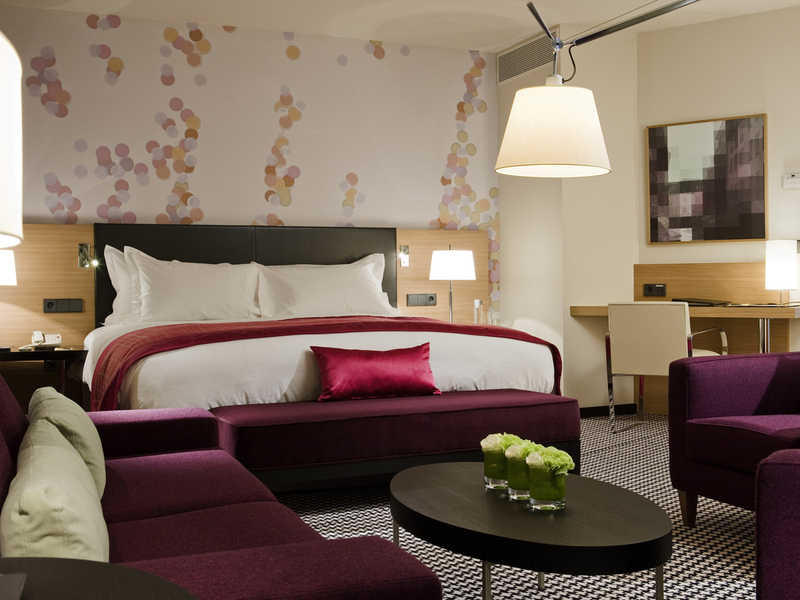 Spacious living areas and panoramic views distinguish our luxury hotel suites in Luxembourg. Enjoy high-tech amenities and a separate rain shower and bathtub. Book a Prestige Suite for a separate living room and executive board room access. 31 m² (333 sq.ft. ), exceptional view overlooking Luxembourg, exclusive comfort, spacious working space, integrated TV plasma ambilight screen, laptop safe, cordless phone, Nespresso coffee machine, luxury amenities, complimentary minibar, WIFI. 36 m² (387 sq.ft. ), exceptional view overlooking Luxembourg, exclusive comfort, spacious working space, integrated TV plasma ambilight screen, laptop safe, cordless phone, Nespresso coffee machine, luxury amenities, complimentary minibar, WIFI. 52m², exceptional view, sitting area, working space, TV plasma ambilight screen, laptop safe, cordless phone, Nespresso coffee machine, bathroom with rain shower, bath with panoramic view, luxury amenities, complimentary soft drinks minibar and Wifi. 125m², exceptional Petrusse Valley views, newly renovated spacious suite with a separated bedroom, tastefully furnished, state of the art equipped living-room, bathroom with exclusive designed ambilight bathtub, complimentary minibar and Wifi. 200m² of "avant-gardiste" and contemporary style. Petrusse Valley views, spacious living and dining room with 2 separate bedroom, kingsize bed and 2 twin beds, tastefully furnished, state of the art equipment, exclusive designed ambilight bathtubs. The in-room dining options consist of a pleasant & sophisticated menu according to the hour and the envy. From the light snack to the dinner, with vintage wines, 1001 pleasures served by a team ready to answer the slightest of your wishes. Swoop up to our eighth floor restaurant and bar, a Luxembourg destination for fine dining and nightlife. Creative gastronomy, modern decor, soaring views, gentle lighting and stunning art make the top floor of the hotel the place to be in Luxembourg. Linger over city views at Coco Mango, a gleaming Luxembourg bar and lounge where locals and guests socialize over designer cocktails, champagne and music. A chic top floor spot to socialize and relax in an ambiance of hospitality and fun. Located on the top floor of Sofitel Luxembourg Le Grand Ducal, the new Mu Luxembourg restaurant will seduce you by its panoramic view on all the city of Luxembourg but especially by its new concept associating sharing, beef, chocolate and simplicity. L'Observatoire is Luxembourg's foremost bar with an unique view over the city night lights and its own resident DJ. Come and explore our interstellar cocktails and tasty bites in the renowned centre of the Luxembourg day and nightlife. With natural light and valley views the Prestige Suite transforms into an Executive Board Meeting Room. This can host up to 14 guests for an intimate Luxembourg meeting with convenient access to two bedrooms and a lounge along with the meeting area. An InspiredMeetings concierge will organize state of the art audiovisual technology and custom catering for gourmet working lunches and coffee breaks. Hold a celebration or other Luxembourg event in three private dining rooms for up to eight guests. A central location near leading companies government institutions airport and train station makes this 5-star hotel an inspired choice for cousu main business events in Luxembourg. Enjoy superb service and amenities in a 5-star Luxembourg hotel: Wi-Fi, private valet parking, a complimentary fitness center, and a concierge to assist with special requests. Family friendly, we offer babysitting. Pets welcome. 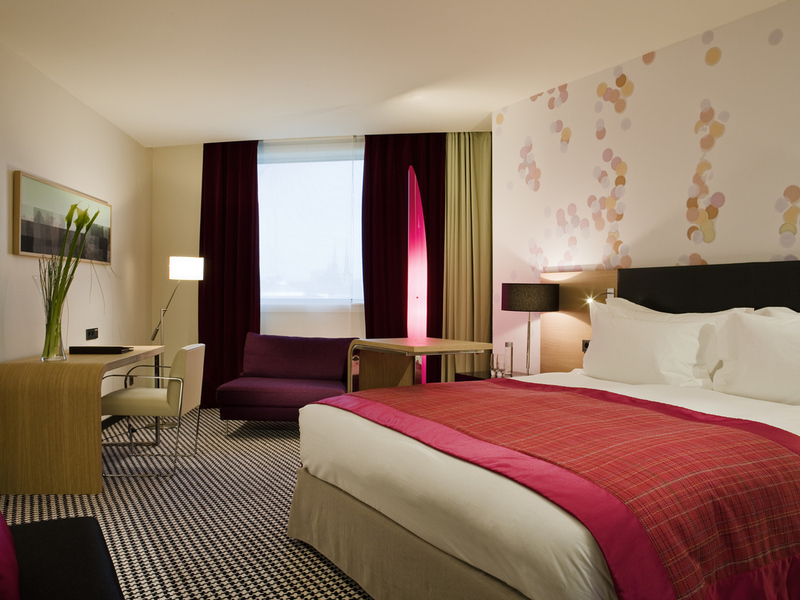 Discover the sumptuous and contemporary Sofitel Lux Le Grand Ducal - just a short stroll from the charming Old City Fortifications, a UNESCO World Heritage site. Let us organize a personal guide or transportation throughout Luxembourg.